SEOUL, Aug. 11 (Yonhap) -- The nation's top baseball competition will break for 16 days next month while its leading players represent the country at the Asian Games at home, an official with the league said Monday. The Korea Baseball Organization (KBO) will be on hiatus from Sept. 15 to 30, and will resume its regular season on Oct. 1, the official said. 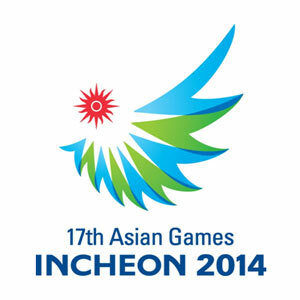 The Asian Games will run from Sept. 19 to Oct. 4 in Incheon, a metropolitan city just west of Seoul. Baseball is no longer an Olympic sport but is still played at the Asian Games. South Korea is the reigning Asiad champ and its 24-man roster for this year's Asian Games includes 23 KBO players. The baseball tournament in Incheon will be held from Sept. 21 to 28, and organizers are keeping Sept. 29 open for makeup games. The KBO official said the league wanted to make sure the national team members would have plenty of rest before returning to their clubs. "It would have made things easier for us to start a new week on Sept. 30, which is a Tuesday, but since there could be an Asiad game on Sept. 29, we decided to resume the season on Oct. 1," the official said. "The KBO teams have their key players named to the national squad, and we wanted to minimize the impact that the Asian Games would have on their regular season play." The nine KBO clubs each play 128 games, with the top four qualifying for the postseason play. The national team is scheduled to train from Sept. 16 to 19 at Seoul's Jamsil Stadium.